Are you suffering from Headaches and Migraines in Calgary? If you have ever experienced a migraine or a headache, you know that they are serious business. Migraines and headaches are something that affects a great number of people in Calgary – especially due to our Chinooks and rapid up and down weather. So if you’re not sure if you have had a migraine before, then chances are you probably never had one. Migraine pain can be extremely painful, and for many patients it leaves them unable to function. The traditional medical establishment relies on medication to treat migraines in most cases, but for many patients that’s simply not enough. At National Spine Care we know it is important to find the source of what’s causing the migraine. What are some of the symptoms of a Migraine Headache? These are some of the many symptoms that can occur before a headache or migraine starts. Team-Based Health Care for Headaches and Migraines? 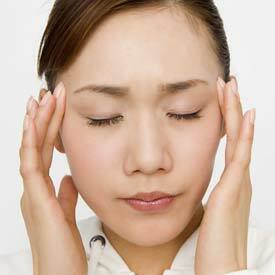 Often, you need combined treatment approaches to effectively treat your headaches. Collaborative care requires effective communication amongst the various health care practitioners that might be involved. Our medical physicians, chiropractors, physiotherapists, medical acupuncturists, nutritionists, massage therapists and exercise professionals all work closely with each other to ensure you get the best care . So How Do We Treat Headaches and Migraines? The kind of treatment for headaches you need will depend on what is causing the problem. The National Spine Care Team will work diligently to find the source of your headaches. Millions of dollars are spent each year treating headaches with drugs. Our physicians can help determine if drug therapy may be appropriate for you. Often times, drug therapy only forms a piece of the solution. Our physicians collaborate closely with the other members of our health care team to ensure a comprehensive, individualized and customized treatment solution occurs. Often, other causes of your headache can be identified and treated by our chiropractors, physiotherapists, medical acupuncturists, massage therapists and exercise experts potentially alleviating the need for drug therapy. book your Calgary Headaches and Migraines consultation appointment today!